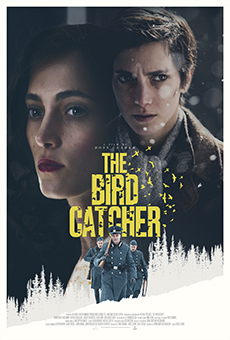 In 1942 Norway, Esther (Sarah-Sofie Boussnina), a 14-year-old Jewish girl has her world torn apart when the Nazis unleash their reign of terror on her small town, forcing her parents to hide her on a truck headed for Sweden, hopefully to safety. Esther’s truck is attacked by Nazis and she barely escapes into the forest, where she meets a boy her age, Aksel (Arthur Hakalahti). Aksel takes a liking to her and suggests hiding her in his family’s barn. To save her from being discovered by the Nazis, she disguises herself as a boy. Every day is a challenge to keep her true identity a secret while she plans a harrowing escape with Aksel through Nazi occupied territory to Sweden, hoping beyond hope that her parents are alive and waiting for her.